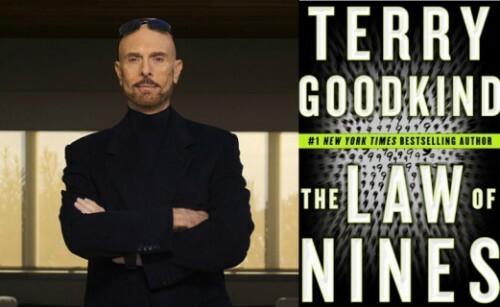 Why you should know him: Terry Goodkind is a number one New York Times best selling author. He’s known for the hugely popular The Sword Of Truth fantasy series which has also recently become a popular TV series entitled ‘Legend of the Seeker’. He also is releasing his newest book, a thriller, called The Law Of Nines today, August 18th 2009. For more about The Law Of Nines check out his website. Random Fact: Born to create, Terry Goodkind has also been a cabinet maker and a violin maker. If writing best-selling books wasn’t enough, he also built his house with his own hands. Why he’s awesome: Although Goodkind has plenty of reasons to be cocky (25 million to be exact, as that is the number of books he has supposedly sold worldwide), from what I can tell he’s extremely humble. Want proof? He’s hosting an event for his fans this weekend that will include, “a private meet and greet with Terry, a gift pack per attendee, live entertainment, and a special reading from the first chapter of Terry’s next book. Now there is somebody who knows how to treat their fans! !